As an Airbnb host, does it freak you out to give your house key to countless strangers? What’s to stop them from making a copy for themselves and coming back to enjoy the amenities, or worse, steal from you? 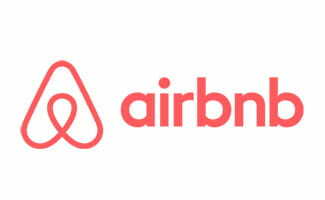 Airbnb has partnered with Vivint to help prevent this type of activity as well as assist hosts with managing guests checking in and out, save money on energy consumption, and increase overall security for their properties. Vivint is our fourth pick for best home security system, which is a huge feat with so many competing security providers. Vivint was previously in seventh place, but because of its constant innovation, quality equipment, and improvement in customer service, we felt it deserved a move into our top five. Keeping it from ranking higher are its higher prices and history of pushy sales tactics. The company also offers high-tech home security and automation equipment, which is why it’s a great partner for Airbnb hosts. According to Vivint, the company is the “preferred smart home provider for Airbnb.” At this time, no other security or home automation company targets Airbnb directly. Airbnb hosts who use Vivint can access their homes remotely, meaning they can lock and unlock doors, adjust the lights and thermostat, and view security camera footage from their smartphones. Why is Vivint great for Airbnb hosts and guests? With my specifications above, there would be a $400 installation and activation fee, but it would be waived due to a special offer going on at the time I called. The only cost I would have was $73.56 per month, which comprised $53.49 per month for monitoring and $20.07 for financed equipment fees. Once I paid off the equipment fees, my monthly rate would be the base monitoring price of $53.49 per month. Is it Legal to Use Vivint with Airbnb? As a property owner, you have the legal right to use a home security and automation system at a home that you are renting out. However, there are ethical and even legal lines you don’t want to cross. For example, using security cameras to record guests in the home is pretty unethical—it’s also illegal in some states to record people’s audio without their consent. To counteract these legal issues, Vivint doesn’t allow the use of indoor cameras for Airbnb users. Are codes changed for each new guest? After booking, guests get an email from Vivint with a PIN that lets them enter the Airbnb listing at the time of arrival. Vivint automatically deactivates the PIN at checkout time. The Airbnb doesn’t have to do any work to coordinate this—Vivint does it all automatically. As a safety net, if the guest forgets their code, the host can unlock the door remotely through the app. Can the Airbnb host spy on the guest? The Airbnb host cannot spy on guests. As we mentioned, indoor cameras are not allowed for Airbnb accounts to help maintain privacy for guests. During a guest’s stay, push notifications are turned off for the host, so they don’t get notifications every time someone enters the house or adjusts the thermostat. 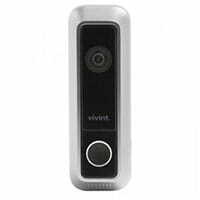 Beyond that, the host can use the Vivint doorbell cameras to see who comes and goes from the rental, and they can check the history of the doorbell camera to see who entered and left, but that’s it. Are customers happy with the Vivint and Airbnb partnership? I scoured the internet for reviews to help give you an idea if this is working well for customers. Unfortunately, because the partnership is so new, there wasn’t much information out there—yet. We’re hoping to get more feedback from customers in the future about their experience with Airbnb using Vivint. Below are the details for one review we found. One review on Airbnb’s Community page from two Airbnb hosts, Tey and Rob, gives a detailed account of their experience with Vivint’s partnership. They installed a Vivint system in their Airbnb rental. After having the equipment installed, they began having technical issues. There was a lot of back and forth, but customer service was polite and corrected the problems completely, though it took a while. Tey and Rob stated they were impressed with the customer service they received. There may not be many reviews for Vivint’s Airbnb partnership yet, but what we’ve seen bodes well for the future. Vivint’s improved customer service pairs nicely with the company’s truly state-of-the-art equipment. Below you’ll find the equipment and pricing Vivint advertises for Airbnb hosts. We’ve also included examples of how Airbnb hosts and guests can use the Vivint equipment. With the Vivint doorbell camera, Airbnb hosts can verify guests remotely. The doorbell cam has video feed and two-way talk to help the host and guest communicate with each other. If guests have a question, all they have to do is ring the doorbell and the host can “answer” through the Vivint app. During their stay, guests can adjust the temperature through the Vivint Element thermostat. The thermostat will adjust automatically to conserve energy while the house is empty. When guests check out, the thermostat will reset to the host’s preferences to help save costs and energy consumption. With the smart door lock, hosts don’t need to worry about getting a key to the guests. I’ve stayed at many Airbnb rentals, and each time, the host or a neighbor met us at an agreed-upon time to hand off the key. The smart door lock allows the guest to enter the PIN to unlock the door at the check-in time. Once the guest has checked out, the PIN is voided. All Vivint plans include 24/7 in-house professional monitoring, so if a sensor is triggered, a monitoring professional will speak to you over the control panel to make sure everything is all right, and they’ll dispatch emergency help if necessary. The most surprising aspect of my call with Vivint was that I had no wait time. I thought that perhaps this was just a lucky coincidence, but I called twice more and again had no wait times. I was pleasantly surprised—I think this was the first time I have called a security company and had this experience. Beyond that, the reps I spoke to were very helpful and answered all of my questions. They were transparent about how customers liked using Vivint with their Airbnb accounts and even recounted an instance where a customer was unhappy. This transparency is very rare in the security industry, and it was refreshing to hear a company speak so openly and honestly about its flaws. At the end of my conversations, the reps weren’t pushy and didn’t ask for my phone number or email—another uncommon experience. The Vivint reps left the next steps completely up to me, which is how I prefer it. This was a pleasant change to me since in the past Vivint has been a bit aggressive with its sales. Overall, I was very pleased with my multiple interactions with Vivint’s customer service and sales teams. Is Vivint right for your Airbnb? If you’re looking for a way to simplify being an Airbnb host, Vivint is a great resource. You can check guests in and out, give them access to your house, and keep your rental secure through the Vivint app. Guests will appreciate not worrying about losing keys, and hosts can feel more secure knowing their rental is monitored 24/7. You will pay a high monthly fee for your service, but we think it’s worth it for the quality and features you get. To learn more about Vivint, read our in-depth review. Would you ever use Vivint for your Airbnb rentals?